Forecasters have been proclaiming the age of m-commerce for a decade now. Yet small enterprises keep doing business the old-fashioned way: online and via email. So I can hear you saying, "Mobile biz? Again? Really?" As we all know, technological advances typically outpace consumer adoption and social transformation. Remember when wireless broadband was being hailed as a game changer? It was about the time you were thrilled to find dialup service in hotel rooms. As of June 2011, there were 323 million U.S. wireless subscriptions, reports CTIA, the industry association. With the U.S. population at about 312 million, that's a formidable 103 percent market penetration. As of October 2011, almost half of American cell phone users had smartphones (44 percent), according to Nielsen. For users ages 25-34, that jumps to 62 percent. Two of every five smartphone owners (38 percent) used the device to make a purchase in 2011, reports comScore. 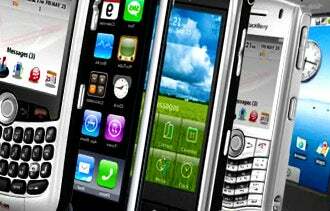 62 percent of Americans who use a mobile phone are open to making a purchase with the device, says a May 2011 MasterCard survey. Shopping via mobile devices will grow to $119 billion worldwide by 2015, predicts ABI Research. Clearly, it's time to mobilize. These basics can help get you started. Once you identify what works, you can scale up. While everyone increasingly works and plays on the go, many websites don't even appear on the mobile Web, owing to design or software incompatibilities. Other sites take too long to load or have too much content to render on mobile screens. So your first step is to make sure mobile users can find you. An online search will turn up several companies -- including OnSwipe, Mobicanvas and GetGoMobi -- that offer free or inexpensive plug-and-play platforms that set up a mobile site independent of your website. Or ask your IT consultant to design a microsite optimized for mobile screens, which means a page or two with only essential content -- say, a logo, a mission or product statement, a clear call to action, contact info and/or social media signups. Montreal-based Web designer Amanda Aitken says mobile sites should have a "maximum width of 970 pixels, so most visitors won't have to scroll too much when viewing the site on a mobile device." She also recommends a WordPress plug-in called WPtouch "that does a great job of stripping out design bells and whistles." Also, don't forget to keep all your branding consistent between your mobile site, your website and whatever other marketing you're using. Before moving on to apps or offers, get a handle on how your customers use their devices, advises Elaina Farnsworth, a mobile marketing consultant based in the Detroit area. "Companies must formulate a unique offering for their audience, then appropriately plan and brand their offer to allow customers to easily access it," she says. To explore your customers' mobile habits, use a free online survey service, send an email questionnaire, set up an online comments page or simply call some customers. Don't be too quick to commission customized apps. Text messaging, features on your mobile site, and social media offerings can be more effective -- and more affordable. Mobile readers used to swipe a customer's credit card. You set up a provider account and get a free or low-cost reader from services like Square, Intuit's GoPayment or Pay Anywhere. No-contact payments that wirelessly scan virtual credit card or personal info stored in a customer's device, through such services as Zong or Boku, which bill via mobile carriers. Location-based services (LBS). Used by GPS-enabled smartphones, these apps pinpoint locations in order to connect nearby users and businesses. The gamut runs from geo-social networking (flash mobs, location-based dating services) to offers flashed on mobile screens as passersby come within range. Users must check into sites, such as Foursquare and Gowalla, or use social search apps like Yelp. Marketers can send daily coupons ("Free dessert today"), future promotions ("10 percent off tickets"), rewards for staying engaged ("Sign up for weekly discounts") and more. Obviously, your incentive will be the key to results. Quick response (QR) codes. QR codes are those square-looking digital barcodes now found in newspapers and on direct mail, highway billboards, menus -- almost everywhere. Users download a QR app and use it to scan codes with their camera phone. That directs them to a mobile Web page with targeted offers or information. As with LBS apps, you must personalize to make offers effective. More important, make sure your code works. There are countless tales of QR codes placed where users have no signal -- on airplanes or the subway, for instance -- and codes that simply fail to work. M-operations. Mobile technology also is revolutionizing service businesses. For instance, after family-owned First Choice Home Health & Hospice, in Orem, Utah, digitized all patient records, clinicians used mobile devices to retrieve and update patient records. That allowed for updates in real time, lower in-patient hospitalization rates and other efficiencies. Says CFO Beau Sorensen, "We're able to save $500,000 annually in rent, labor and travel costs. At the same time, we're increasing cash flow, boosting security and compliance, improving clinical outcomes and reducing employee turnover." It looks like the next game changer has landed.